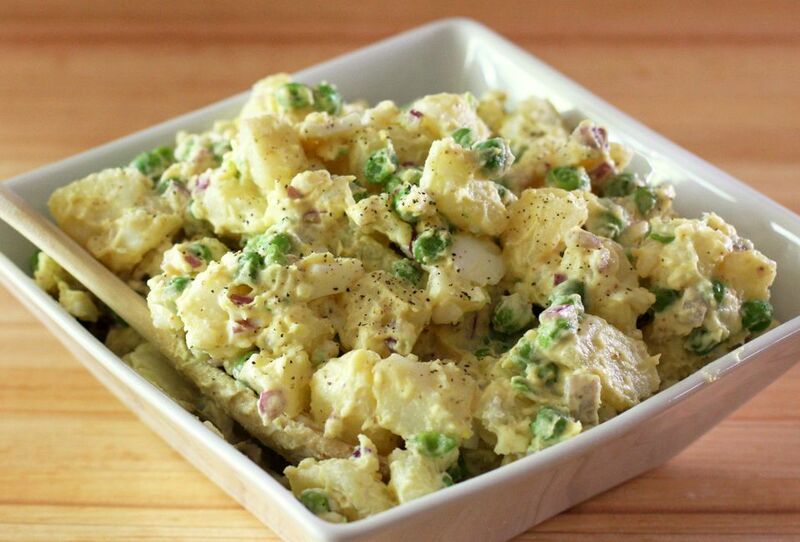 Fresh or frozen green peas add flavor and color to this well-seasoned potato salad. This salad is easy to make and perfect for any cookout or potluck. Put potatoes in a saucepan and cover with water and add 1 teaspoon salt. Bring to a boil. Cover and cook for 15 to 20 minutes, just until tender. In a cup or bowl, combine 2/3 cup mayonnaise, sour cream, and mustard. Gently stir into the potato mixture until blended. Add more mayonnaise, if desired. Taste and add salt and pepper to taste.